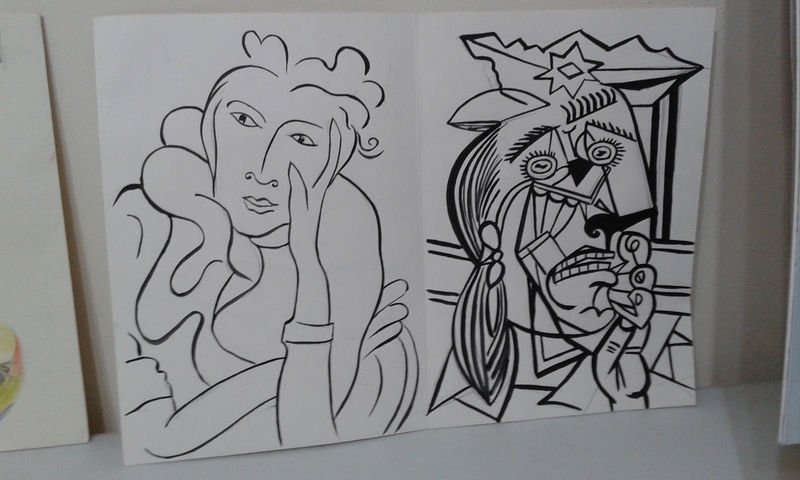 Second week of the Fundamental Art Skills course, studying line and tone…. 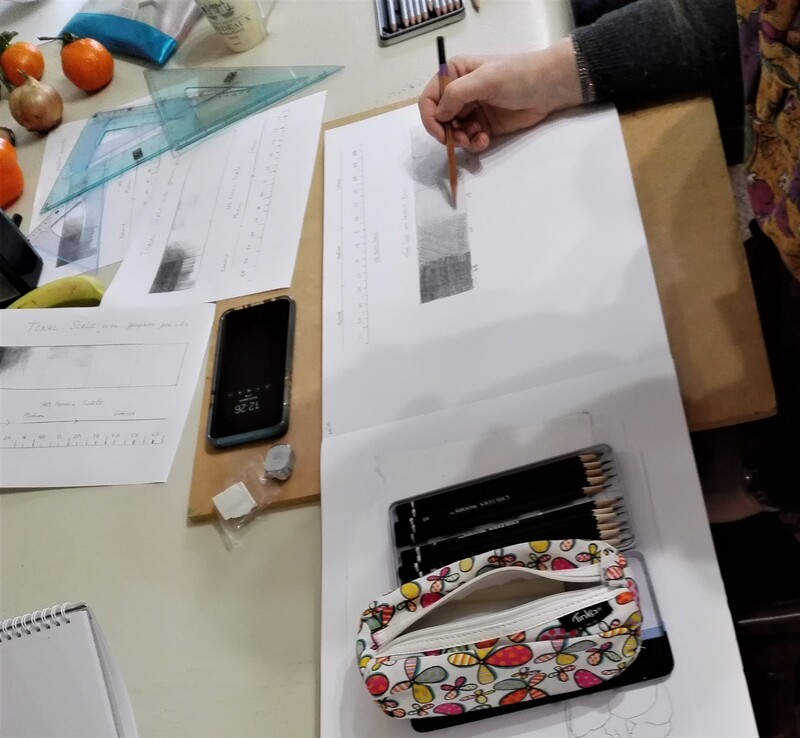 Second week of the Fundamental Art Skills course at Magic Wool Studio. I can’t believe this is the second week of our course! We have already learnt so much about a line. My students got fascinated by lines and were exploring them in great depth. We looked at how the artists use line in their work and tried to draw with expressive lines to show a character and emotions. This week we stated exploring tone. The students worked so hard on their shading technique! Fantastic results! Well done! 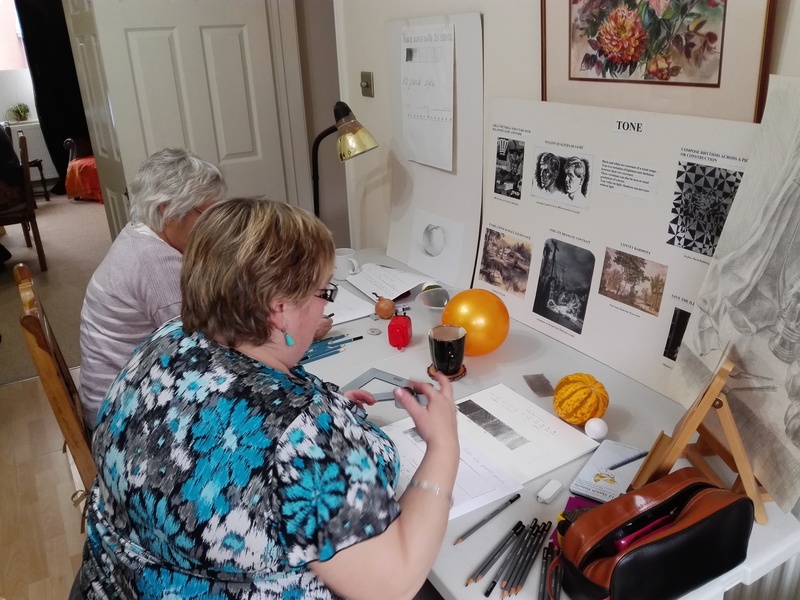 Complete Beginners in Art drew fantastic still lifes today with Artist and Art Tutor Raya Brown at her Kidderminster Magic Wool Studio. Magic Wool Studio and Bevere Art Gallery in Worcestershire are working together to promote wool painting technique. 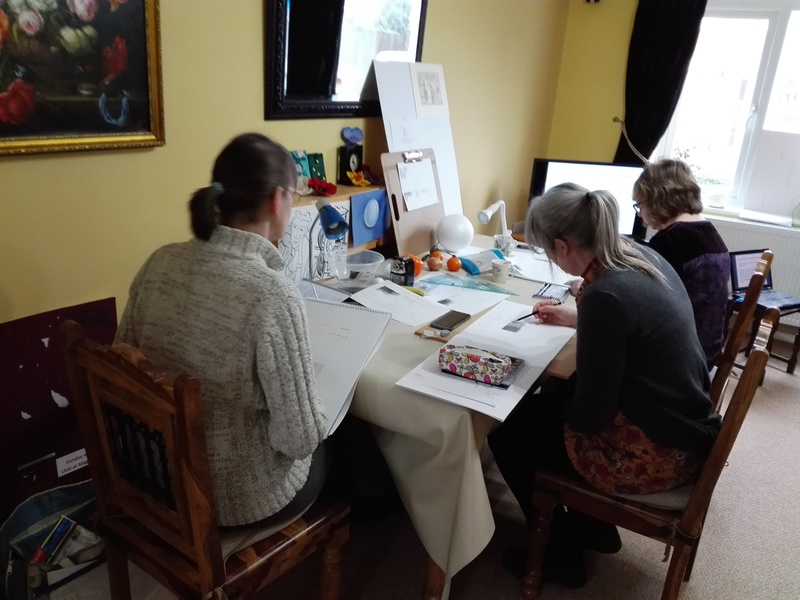 Fundamental Art Skills course was launched at Magic Wool Art and Craft Studio in Worcestershire last week with a great success. 12 days are left until the Fundamental Art Skills course will start at Magic Wool Art and Craft Studio in Kidderminster, Worcestershire. Another happy wool fibre Robin has been made at Magic Wool Art and Craft Studio in West Midlands just before Christmas. Lovely Robin wool paintings/wool watercolours were created at Magic Wool Art and Craft studio in Worcestershire last Sunday . You can change your mind at any time by clicking the unsubscribe link in the footer of any email you receive from us, or by contacting us at raya.magicwoolstudio@gmail.com. We will treat your information with respect. For more information about our privacy practices please visit our website. By clicking below, you agree that we may process your information in accordance with these terms.